In addition to their 4-card VIP set, Leaf has a lot going on at their 5,000 sq/ft Corporate Booth this year during the 2014 National Sports Collectors Convention. Leaf pulled back the curtain and explained the details of their plans today. Collectors opening up boxes at their booth will also be greeted with a ballot for a chance to take part in the Leaf Deal or No Deal event. Drawings will take place twice daily and the top prize is $2,000 in Leaf gift cards that can be used in their store. 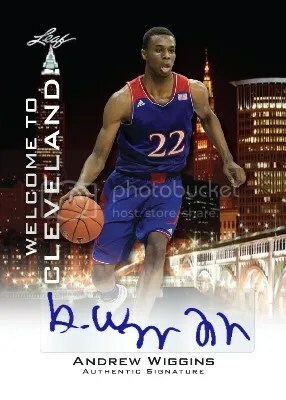 Leaf will be offering a limited run of 2000 5-card Andrew Wiggins Rookie Sets at the show. Randomly inserted in sets at a rate of 1:20 packs, collectors can pull one of 5 Andrew Wiggins Autographed Rookie Cards limited to just 20 copies each. Unlicensed and pre-draft football products need to do everything they can to garner enough attention before all the other stuff comes out. For those collectors planning to open 2014 Press Pass Football which releases on March 5, be sure to save the UPC code off the box. 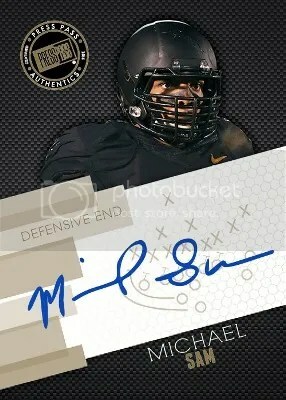 While supplies last, collectors who send in the UPC code off their box of 2014 Press Pass Football will receive a free Michael Sam Press Pass Signings autograph. Only one card per envelope mailed separately, while supplies last. No metered mail. Limit 1 request per household. Failure to comply will result in your entry being disqualified. 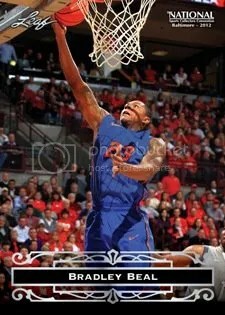 Only persons receiving a free autograph will be notified. This afternoon Topps unveiled two wrapper redemption programs that they will hold at their booth this year during the 2012 National Sports Collectors Convention. Topps has created an exclusive 25-card sequentially numbered 2012 Bowman Platinum Blue Foil Parallel. Collectors opening a full box of 2012 Bowman Platinum Baseball at the booth will receive the set. The set will include Bryce Harper, Yu Darvish and more. In addition, autographed versions of selected cards will be randomly inserted. 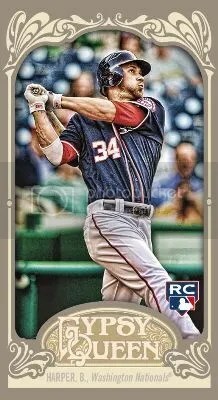 Set collectors go nuts over the Topps promos they giveaway during the National. Probably because the promos are part of popular Topps sets. I almost got killed two years ago trying to get my Strasburg Topps Heritage promo. Leaf Trading Cards has announced that they will produce a 5-card set for this year’s VIPs that attend the 33rd National Sports Collectors Convention in Baltimore. The set will contain Robert Griffin III, Ichiro, Dylan Bundy, Muhammad Ali, and Bradley Beal. Leaf will also be producing all the badges worn by VIPs and distributors throughout The National. Be sure to follow The National on Twitter and Facebook. 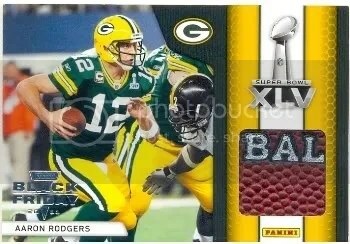 Panini has released the entire checklist for their 2011 Black Friday Super Bowl autographs and relics. 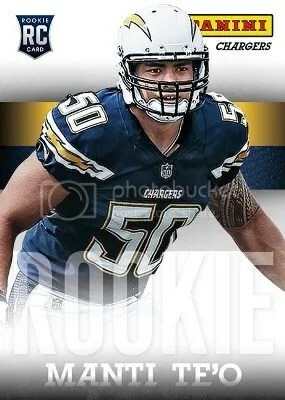 These are some of the nicest looking Super Bowl themed cards made. According to a lot of shops, this Black Friday promotion helped with sales. They need to do more of these.